N3V Games today announced that the next version of their long running Trainz franchise will officially launch in Q4, 2018. Titled “Trainz Railroad Simulator 2019” this version will deliver more realism, more features and more content than ever before, with Early Access becoming available from July 2018. To celebrate this announcement, N3V Games is offering the full “Trainz Simulator 2009 World Builder Edition” FREE to all subscribers to the Trainz Newsletter. This massive giveaway offer will enable train fans from all around the world the opportunity to experience the world of Trainz with this unlimited, fully featured version. To access the TS2009 Giveaway, simply visit ts2009.trainzportal.com/free and follow the prompts. Trainz Railroad Simulator 2019 (TRS2019) will feature the Rocky Mountaineer, giving users the opportunity to experience one of the world's most scenic rail journeys without leaving their home. TRS2019 will ship supporting multiple languages, and will be released via major digital online retailers Steam, Trainz Portal, and Mac App Store, as well as traditional physical retailers throughout the world. 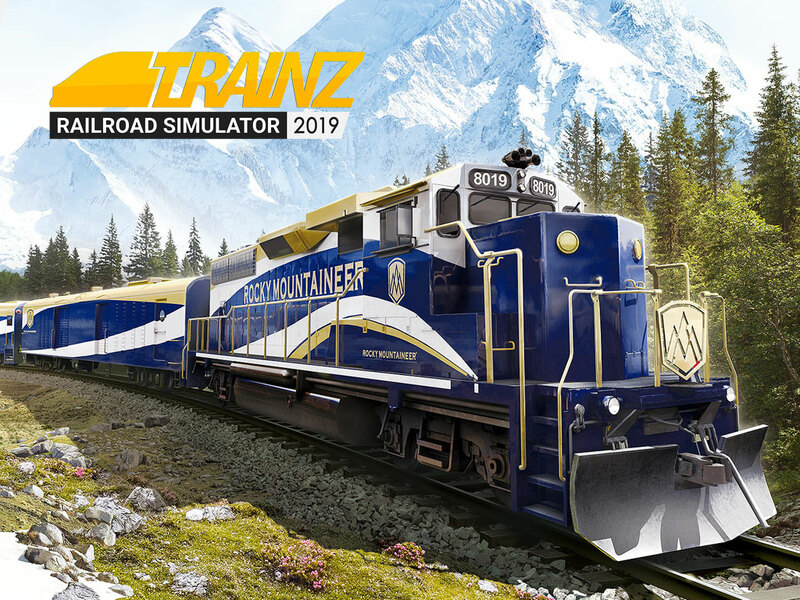 Trainz Railroad Simulator 2019 builds upon the technology of Trainz A New Era and introduces new graphical capabilities with “Physically-Based Rendering” delivering more realistic lighting and texturing. The N3V Games development team have also been working closely with over a thousand beta testers continuously updating the core “TANE” engine and game systems to ensure the game operates better than ever before. Much of this work involves ensuring backwards compatibility with the enormous custom content base that Trainz is famous for (with over 450,000 items and still counting) allowing users to import their existing content and immediately take advantage of the new graphical features. With an eye for detail and a love of trains, you've earned yourself an invitation to our closed beta testing (so keep an eye out on your inbox). If the entire game looks like that GP40-2, better lighting ain't gonna save it. Great news. I've enjoyed every version of Trainz released over the years and it gets better all the time. I'm really looking forward to getting TRS2019 the moment it is available. Fantastic news! Looking forward to this release like no other. Congratulations on settling on a name. Now for the delivery! No word on a whole new sound effects engine to replace the garbage that has existed since since the earliest versions of Trainz. Disappointing. Let me guess, the same default Clickity Clack and junction point sound effects will be in TRS2019. No decent flange sounds when going through curves. Just eye candy and that's it. Up your game Tony! What will happen to the built-in content from T:ANE; the C&O Kanawha, Kickstarter reward freight train, Blue Planet train, etc? Well at least I correctly chose the title and the train in the recent quiz/survey. Don't know if I need another free copy of TS2009 though. Perhaps there should be something for those of us that have already got it all. Chris - you'll have to be less cryptic than that for us to understand your point fully. James - I'm pretty sure you can replace the sounds in <kuid:570470:100003>. There's this container: http://online.ts2009.com/mediaWiki/i..._containerthat customises whatever sounds you like on a junction or crossing. If those things are working as expected, then please let us know. Adding to the backward coupler, I have to say that the coupler is a little small. Can that coupler draw 50 loaded cars? But hey! scenery looks unreal, is it true? Any chance it could have the little gas-electric and diesel-electric switchers that Mack Trucks built; especially their little centercab switcher Number 1 used at their Allentown plant? And with opening cab window panes? In G scale models Hartland Locomotive Works has a decent representation of it. Some of their railbuses would be nice too. So does that mean Trainz Railroad Simulator 2019 is going to pick up were tane left off with the bugs and none working software since released? Oh...haha neat. Will keep a look out. So what is the default content and are we going to end up with potentially divisive different levels of release as happened with TANE - Standard, Deluxe and Collectors? I am somewhat looking forward to this but as someone still working in TANE SP1 HF4 due to the complete mess the programmer(s) made in > SP2 I will probably take a raincheck on Day 1 purchase. And I know from the rather dismissive response to questions (not a wish list as it was spun back to me) about improvement in basic train sim functions, this is more than likely another, admittedly nice looking, but still another emperor's new clothes makeover for the product, on the spaghetti code dating back to 2001...! I hope that the water placement could have the same ability to not stich together when adjoining levels touch in the same way splines do. It looks weird when you have a dam and the water slopes up it. Will 2019 push the limits of computers to a much higher level of spec to run it? Well, with all the beta testing and releases gone on in T:ANE, I suspect we have something to look forward to.